Sporting Shooter contains a mix of hunting and adventure stories, firearms, ammunition and related product tests and reviews, technical advice, techniques and tips for improved shooting and hunting performance, and the tastiest recipes for your game. 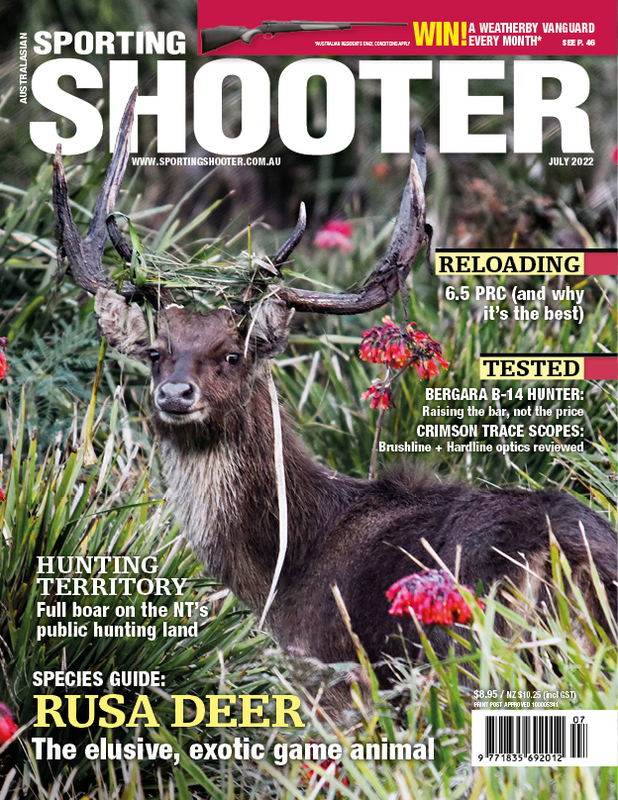 Sporting Shooter is the magazine for those recreational hunters who love the outdoors and are passionate about Australia’s feral animal management, particularly fox, wild boar, rabbit and deer. Your new Sporting Shooter print + digital subscription, compiled by keen writer-hunters, regularly contains a mix of hunting and adventure stories, firearms, ammunition and related product tests and reviews, technical advice, techniques and tips for improved shooting and hunting performance, and the tastiest recipes for your game, plus lots more.